Delta High School — The Land Group, Inc. 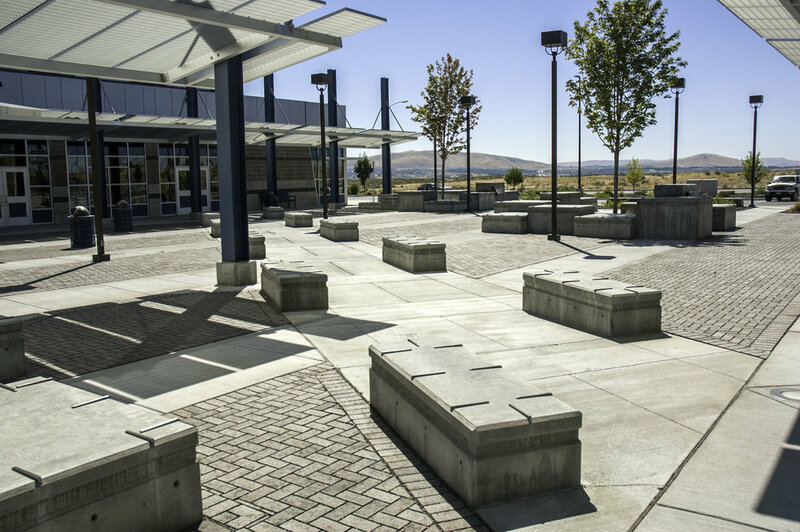 The Land Group provided design services to Design West Architects for a new high school in Pasco, Washington. The scope of work included preparation of the SEPA Checklist per State of Washington requirements. Landscape architectural and civil engineering services included an Erosion and Sediment Control Plan per local agency requirements, grading, drainage and utilities plans, and site layout plans and details. 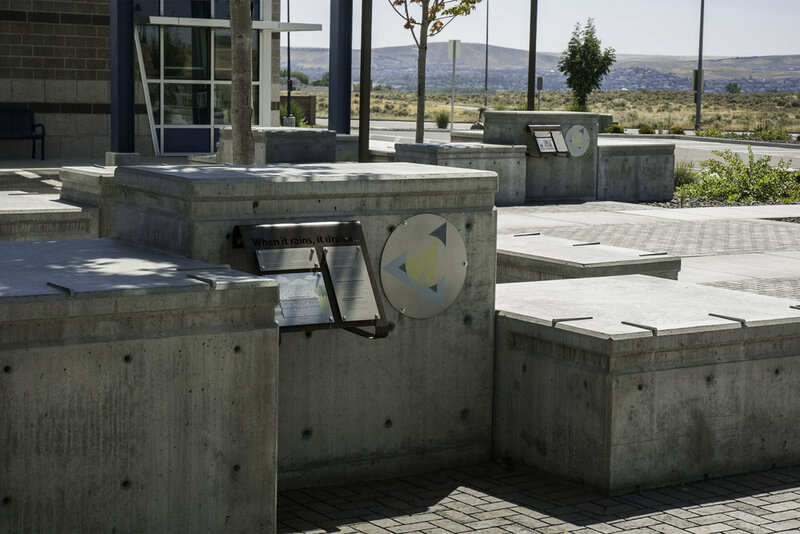 These construction documents showed the location, sizing, and construction of site elements including vehicular and pedestrian circulation, seat walls and site furnishings, and exterior courtyard space adjacent to the building with permeable pavers. Landscape and irrigation plans included planting design and details emphasizing water-wise landscaping and sprinkler head layout, lateral lines & zoning, valve placement, mainline and control wire routing, and controller specification. All design work and construction drawings took account of the phased construction sequence.